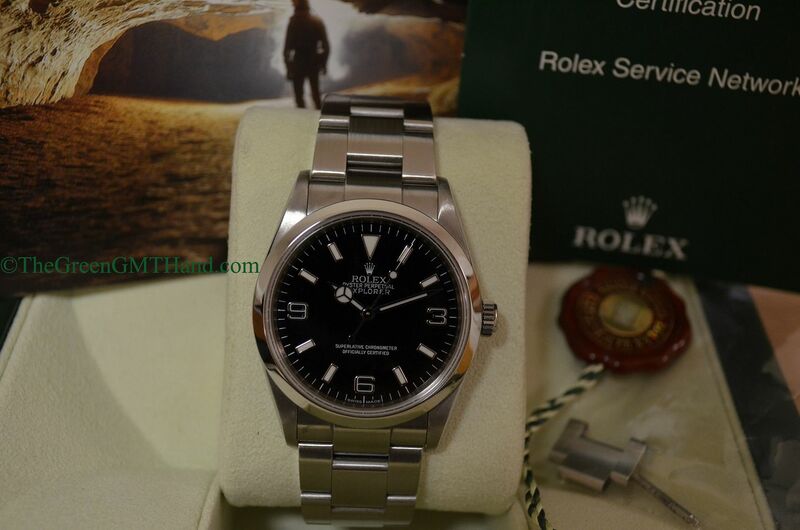 This is the 36mm Rolex 114270 Explorer, a M serial. 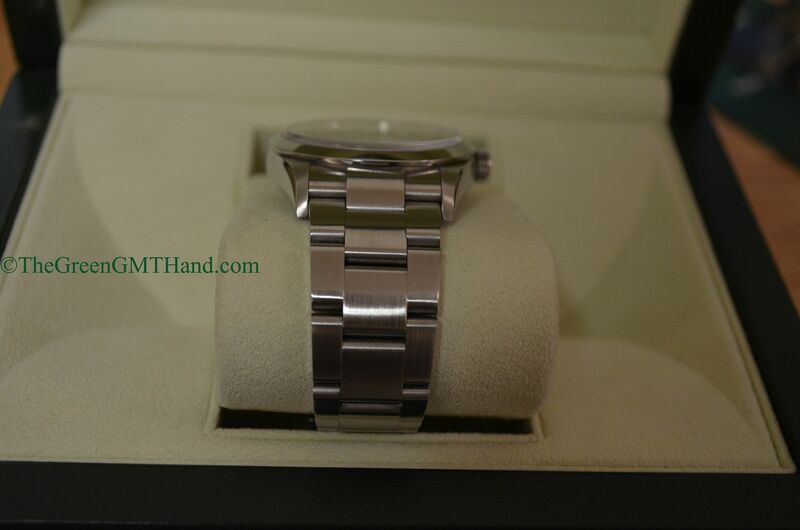 This model has been discontinued and has been replaced by the 214270 39mm Explorer Rolex introduced a couple of years ago at Baselworld. 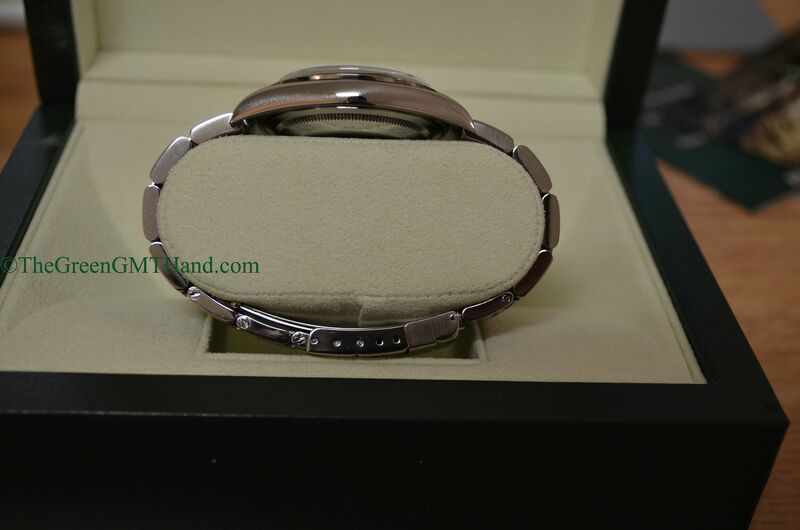 This M serial model features the engraved rehault (see our “Useful Rolex Knowledge” section) that began for the Explorer in the late Z (~Z5/Z6) serial number issue. 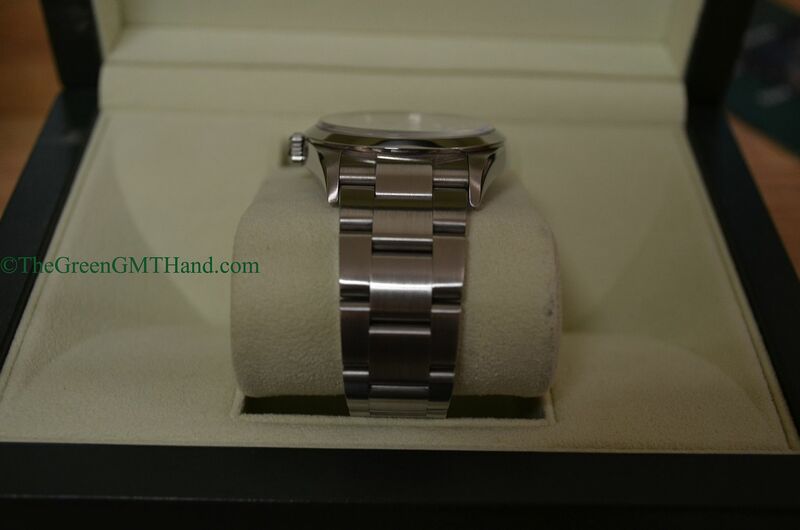 The Explorer, along with a Smith brand watch was the first watch on top of Mount Everest. It accompanied Nepalese climber/sherpa Tenzing Norgay and New Zealand’s Edmund Hillary as they became the first humans in history to climb to the summit of Mount Everest on May 29th, 1953. The Explorer is one of our favorite Rolex models ever. Its history is as rich as the Submariner, Datejust, and GMT Master II. We associate Submariners with James Bond, GMT Masters with Pan-Am pilots, and DayDates with world leaders and celebrities, but the Explorer is often forgotten. 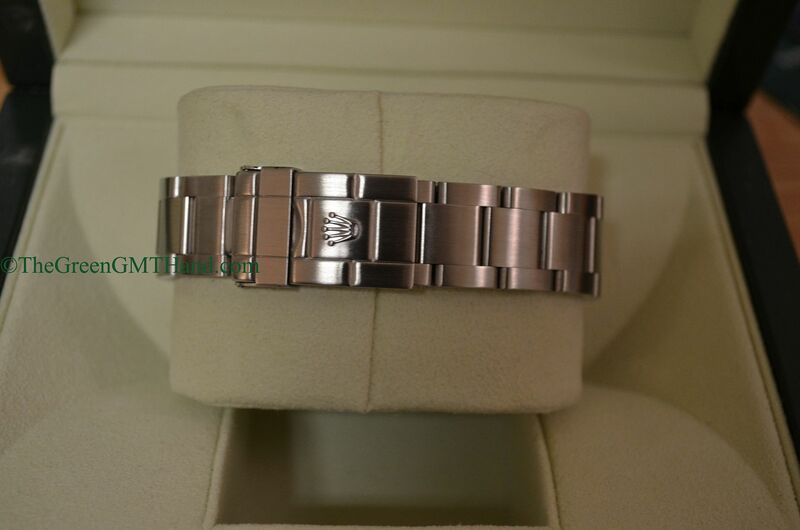 Its history on top of Mount Everest completes the three point symbol of the Rolex Mercedes hour hand: land, air, and sea. Sea is of course the Submariner, air is the GMT Master, and land is the Explorer and Explorer IIs. 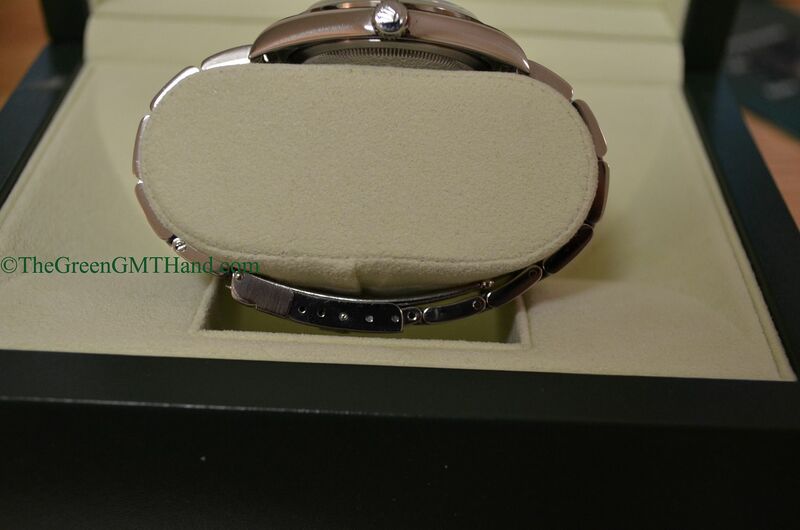 One of the classiest Rolex watches ever made. 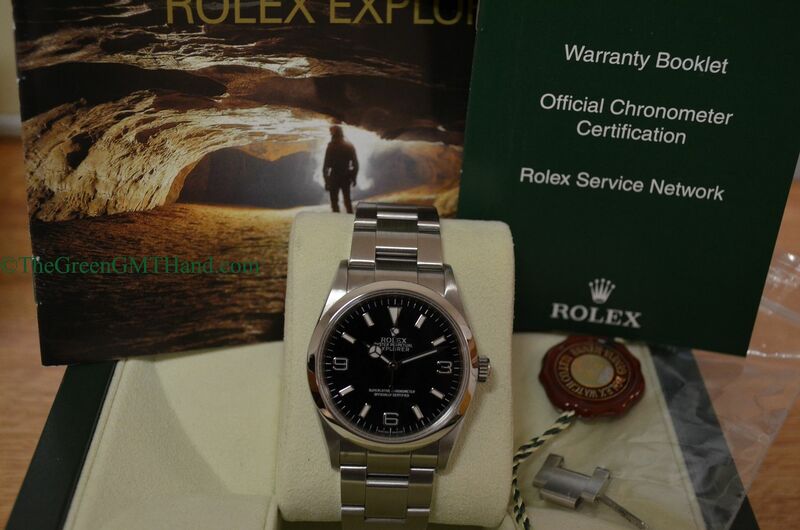 SOLD and delivered to our buyer with original Rolex box set, Rolex Explorer manuals, and Rolex red chronometer tag.